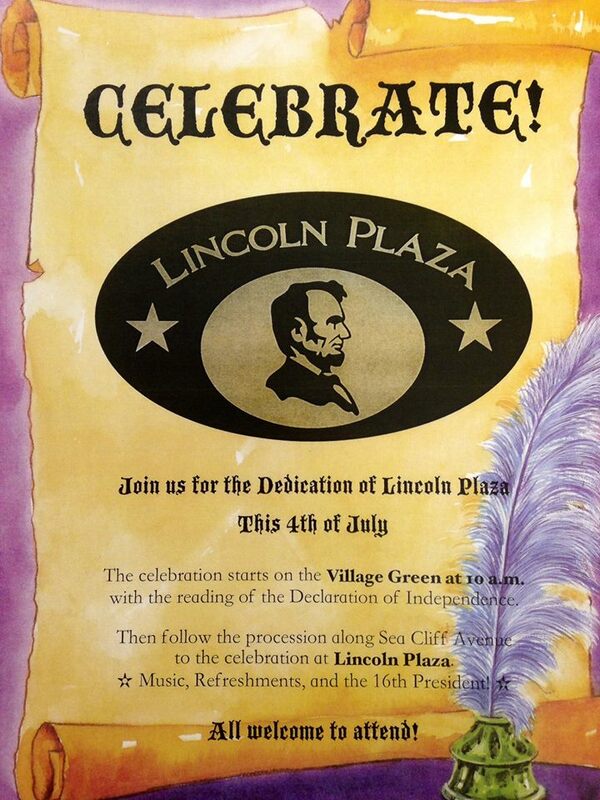 July 1, 2014 -- Sea Cliff will be observing the nation's 238th Birthday in a variety of ways this upcoming Thursday and Friday. 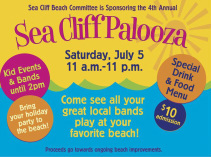 July 1, 2014 -- On Saturday July 5, the Sea Cliff shoreline will swing and sway to the sounds of the area's musical talent during the 4th annual Sea Cliff Palooza. 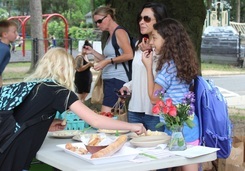 June 27, 2014 -- Residents filled Memorial Park for the first concert of the season in the Sea Cliff Civic Association's summer music series "Sunset Serenade" on Thursday. 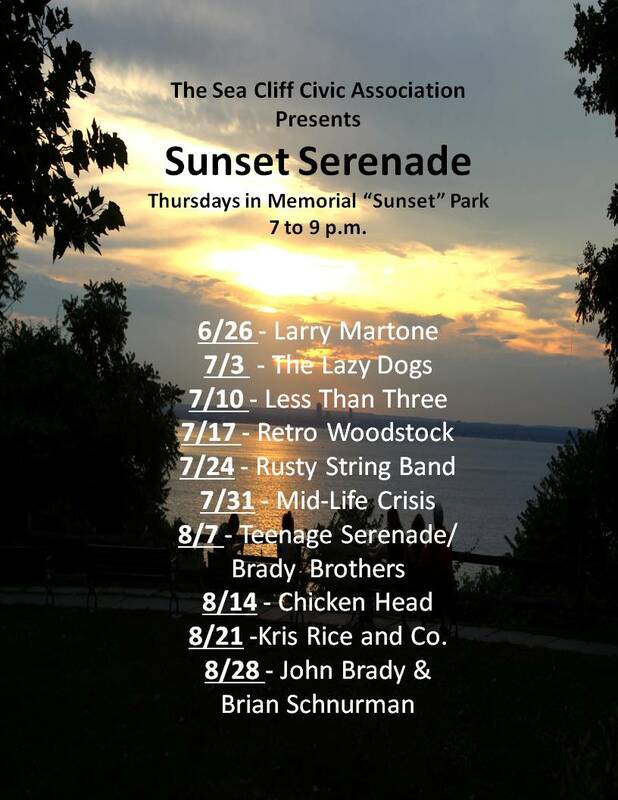 Larry Martone and friends performed a wide mix of folk and light rock throughout the evening under a spectacular Sea Cliff summer sunset. 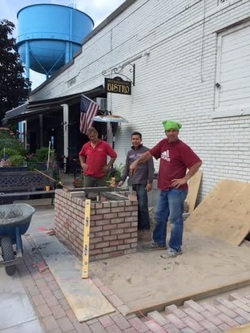 Joining Mr. Martone were Gunner Martone, Jimmy Witowski, Lesley Pryde Haley, and Alana DeStefano. 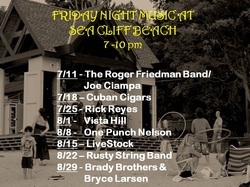 Concerts are held every Thursday evening from 7 to 9 pm at the park where Sea Cliff Avenue intersects with Prospect. 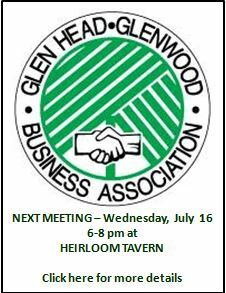 Next week, The Lazy Dogs will be performing. 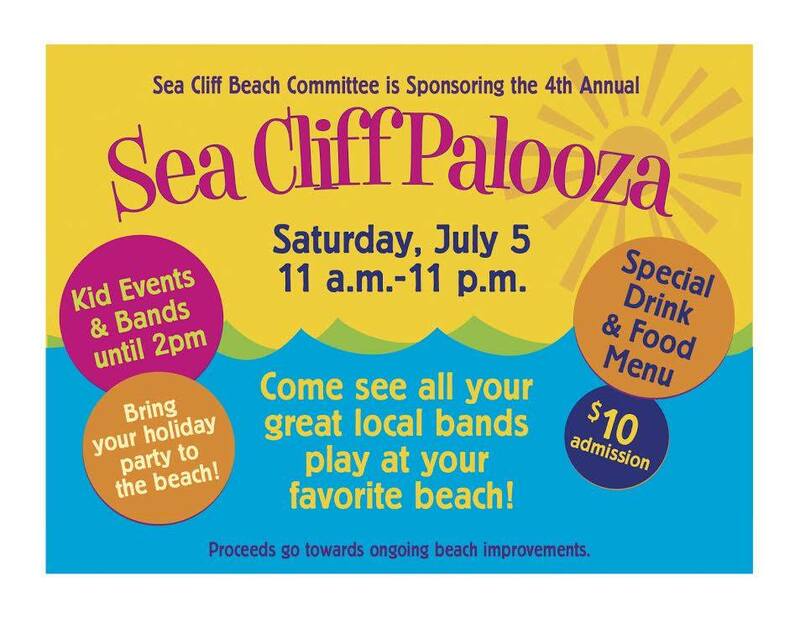 Click here for full concert schedule.